Selecting the perfect setting for your wedding service and reception is essential to ensure these joyous events will live forever as fond memories. 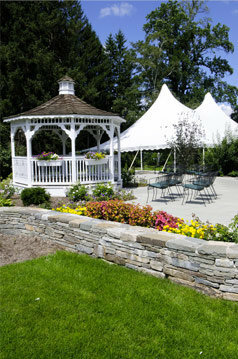 Read about Woodstock Inn Weddings below, then learn more with links to your left. Our Inn is situated in the Woodstock Hill section of town, which the state of Connecticut designated as an Historic District. Offering timeless beauty and serenity, the town is steeped in historical tradition and is easily accessible to Boston (ninety minutes), Hartford (fifty minutes) and Providence (fifty minutes). See Directions. We have hosted weddings, rehearsal dinners, and receptions since the 1980s, and our professional staff trained experts are ready meet your every need with genuine care and concern. Our award-winning facility consists of twenty-one beautifully decorated private rooms and suites to accommodate your wedding party and guests, and our exceptional dining and beverage facilities can be designed to accommodate your budget and menu preferences. 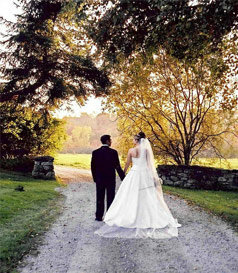 Download our Wedding Package to help you plan your big day.